DECEMBER SALE – ALL CDs are 30% discounted! And shipping is just 2 dollars, euros or pounds depending on where you live. 23 previously unreleased tracks recorded in 1967 and 1970 on the Wurlitzer of the St. Mary of the Lake Seminary, Mundelein, IL. This was a great find by John’s longtime manager, Carolyn Collins: the tapes, which were made during John’s practice sessions by trusted friends using the equipment belonging to Dr. Clarence Close, lay dormant on Dr. Close’s shelves until a casual conversation revealed their existence. 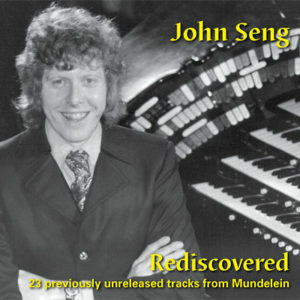 The tracks were recorded ‘conventionally’ in the auditorium, unlike Seng’s other albums where the microphones were placed directly in front of the swell shades. 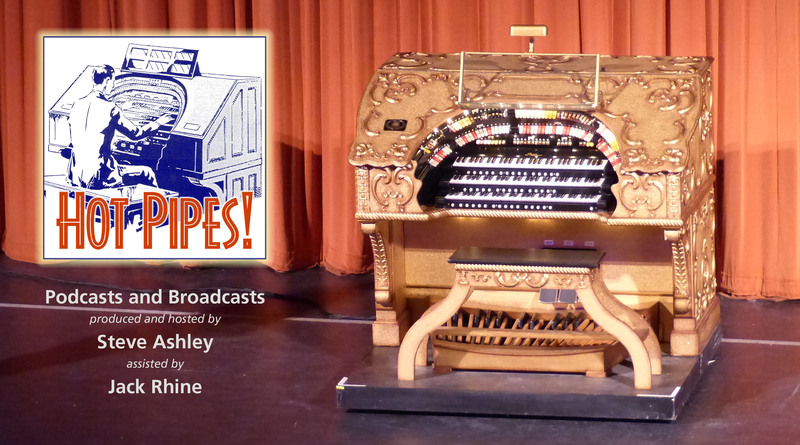 This gives the listener some idea of the sound of the Mundelein Wurlitzer from an audience viewpoint. The liner notes contain personal recollections of John Seng by Detroit organist, John Lauter, along with old photos not seen in many years. Click on the cover photo to proceed to the prices and playlist. Click here to go to the Order Form. 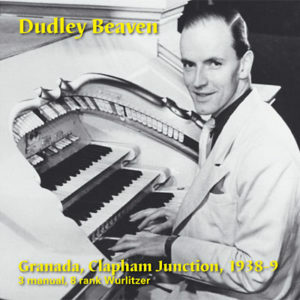 The complete solo tracks of Granada organist, Dudley Beaven, recorded by Decca just before World War 2. The 3 manual, 8 rank Wurlitzer in the Granada was installed under-stage and had a particularly ‘direct’ sound in the auditorium that was popular with the public and recording engineers alike. The album includes 3 tracks by the Granada Three – Dudley Beaven on organ with Harry Farmer and Leo Rae playing piano. These tracks were transferred from 78 rpm records by Wayne Ivany, who also wrote the liner notes. The digital processing was by producer Steve Ashley using professional restoration software. 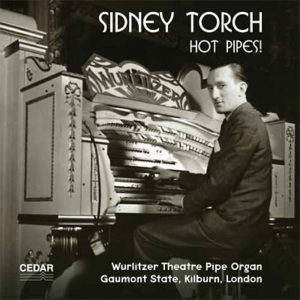 PH2007: Sidney Torch – Hot Pipes! Recorded by Torch at the Wurlitzer of the Gaumont State Theatre, Kilburn, London, between 1938 and 1940, these are some of the last sides from The Maestro before he joined the RAF and left the cinema organ for the world of light orchestral music. Again the tracks are from the collection of Wayne Ivany, who also wrote the liner notes for the 12-page booklet. All but one of these sides were issued by Columbia and have been processed by CEDAR for pristine sound quality.